First we were introduced to the real-life Hoverboard from “Back to the Future” which might be released this October, and now we can add another “Back to the Future” merchandise to the list that can go along with the Hoverboard! The shoes and Hoverboard from "Back to the Future II". Behold! 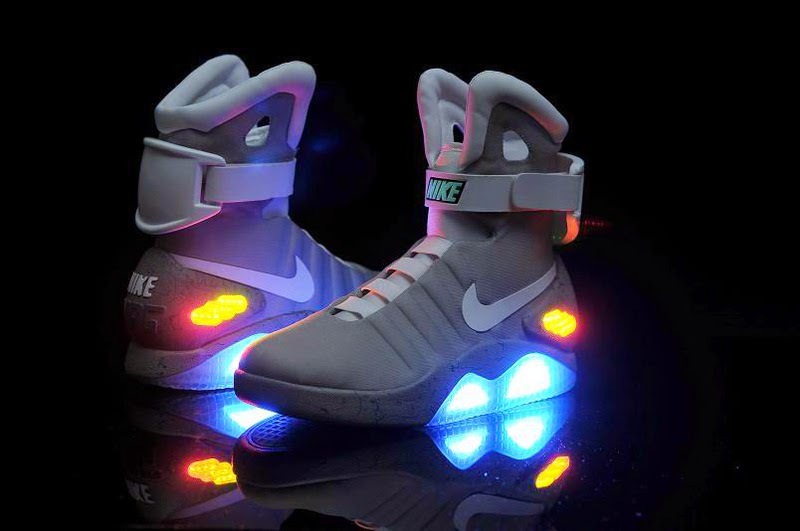 Marty McFly’s self-lacing, light-up sneakers from “Back to the Future Part II” called the Nike MAG will soon be released to public within this year! 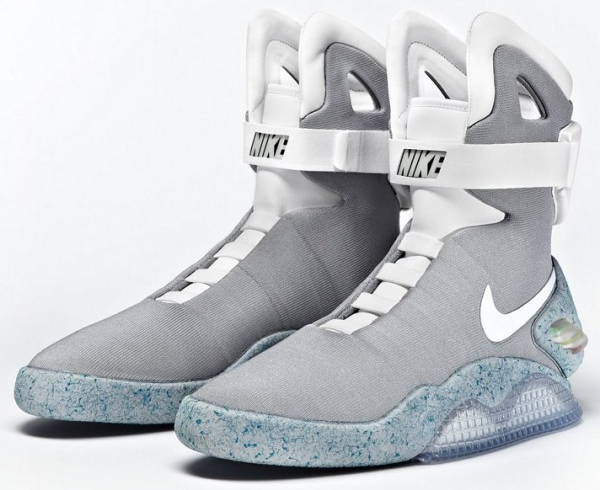 Nike designer, Tinker Hatfield specially designed the shoes back in 1989 for “Back to the Future II” film. 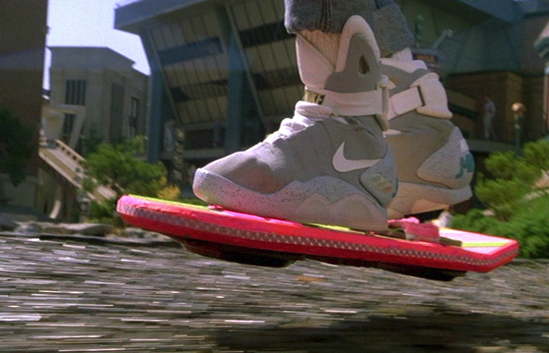 In the film, Marty McFly was seen wearing the shoes when he time travelled to the year 2015, which hey, is this year! 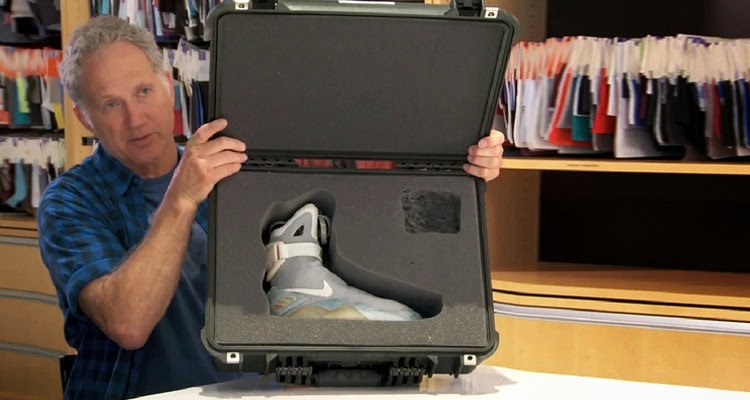 Nike has been teasing the release of Nike MAG since 2011. However, the shoes at that time did not feature the self-fastening power laces which are one of the shoe most prominent features in the film. 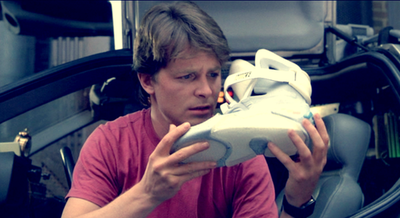 Marty McFly holds the shoes in "Back to the Future II"
During that time, a total of 1,500 pairs were auctioned on eBay in order to raise money for The Michael J. Fox Foundation for Parkinson's disease research, Business Insider reports. Aside for the power laces, the Nike MAG shoes also feature an electroluminescent out-sole, space age materials, and a rechargeable internal battery good for 3,000 hours which is the first for Nike.